Azeri kamcneheh bow made of horse hair. 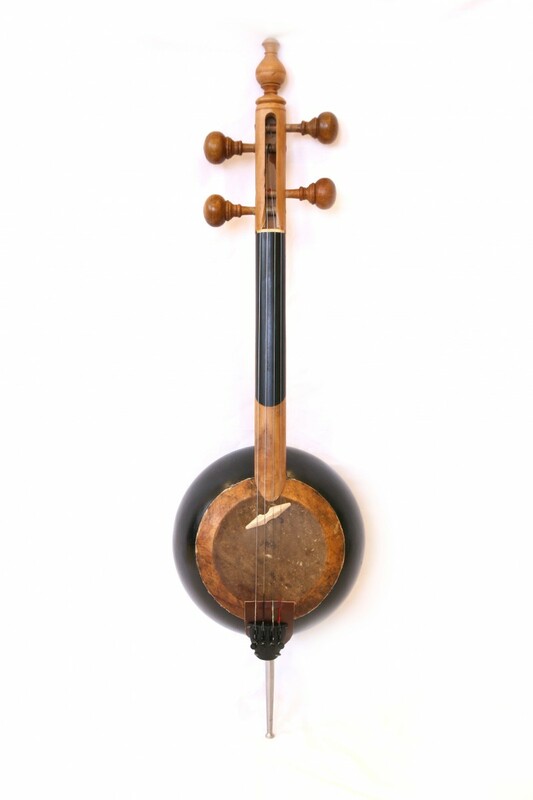 Azeri kamancheh is the ancient grandfather of the modern violin. 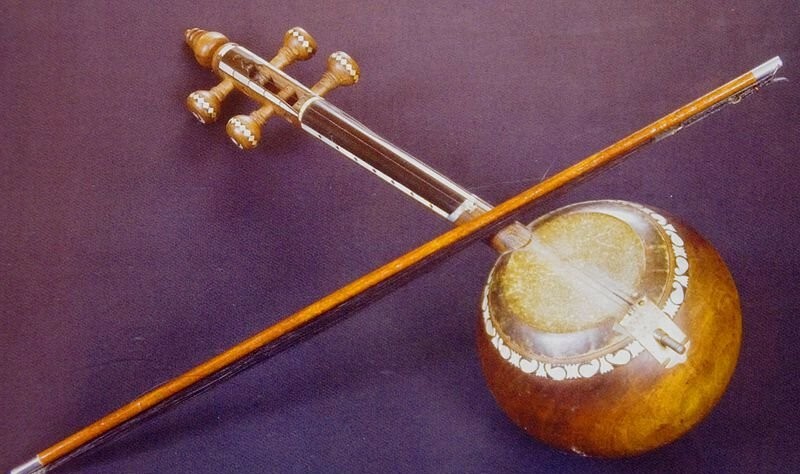 Many believe that the invention of the violin followed the influences of the kamancheh and the lira. 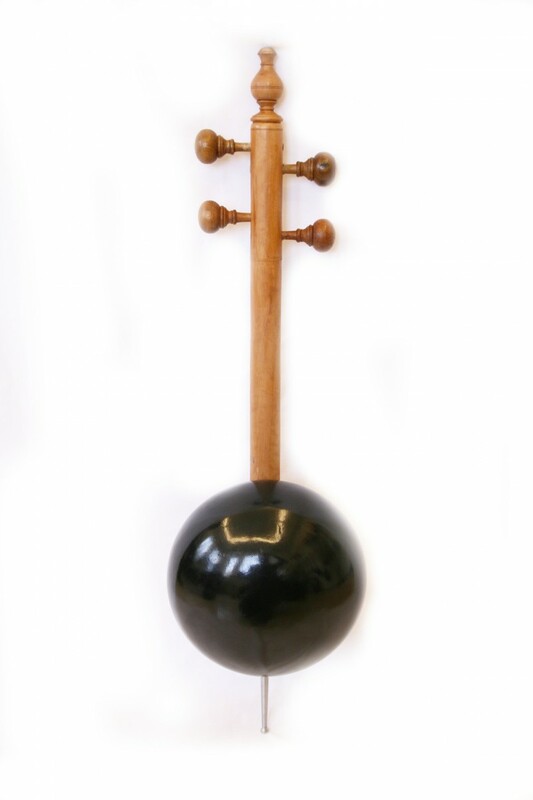 The Azeri kamancheh is a travelling instrument. It has reached many countries but can be found mostly in central Asia in places such as: Armenia, Uzbekistan, Turkmenistan and Iran, which has its own version of the kamancheh. The main differences between traditional kamancheh and Azeri kamancheh are the length of the neck (azeri is shorter by 3-5cm), the shape of the sound box and the woods in use. Traditionally, Azeri kamancheh is made from one piece of wood. The shape is hand carved until it gets its rounded form. In past days. silk strings where primaraly in use, but within time standard metal strings took place. The kamancheh is played with a special bow made of horse hairs. Bow for Azeri kamancheh differs from violin bow, by the fact that its not tensed. 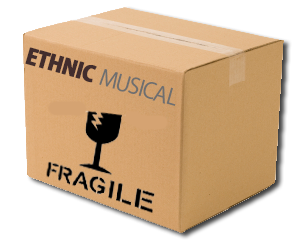 Naturally the hairs are loosed, and the player can stretch them according to his desired sound – softer or sharper. The sound box of the kamancheh is usually made from mulberry, and the mambrane (the cover of the hole) is made from fish skin. A skin of fish can be easily identified by a stretch that often crosses it. How to tune Azeri Kamancheh? Azeri kamancheh can be tuned in a wide range. The lowest is: La – Re – La – Re (left to right, low pitch to high pitch), till Re – Sol – Re – Sol. A common tuning that utilizes a mid-tense strings is: Si – Mi – Si – Mi. 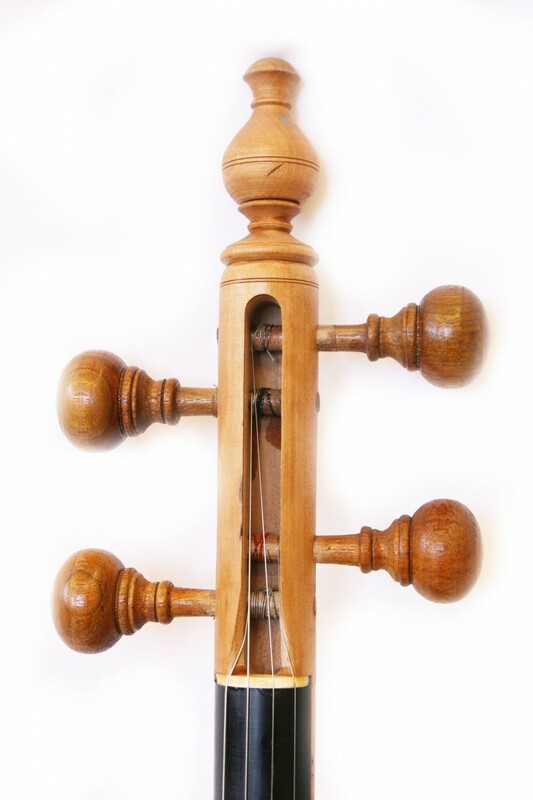 Many of Habil Eliyev pieces are played with this tuning. Some tune the kamancheh just like violon: Sol – Re – La – Mi. But this is less common. Eventually the tuning pitch will be decided by the taste of the player, and according to the sound of the given instrument. Some musicians like playing on loose strings and some on tense strings.